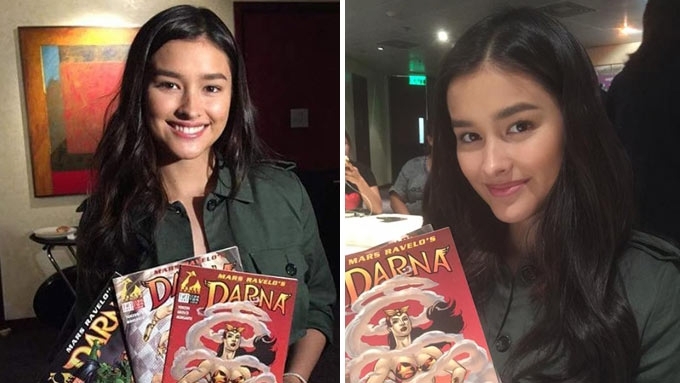 Angel Locsin gave Liza Soberano these Darna komiks after it was announced that the 19-year-old actress would take over her role in the upcoming film. Liza Soberano received gifts from Angel Locsin after it was announced that the former will bring life to the iconic Pinay superheroine. The 19-year-old actress got several Darna komiks from Angel who was supposed to topbill the Star Cinema-Reality Entertainment movie to be directed by Erik Matti. It will be recalled that Angel had to give up the role due to health reasons. Liza's manager, Ogie Diaz, shared photos of his ward holding up the comic books given by Angel. "Yang mga magazines na yan, bigay sa kanya ni Angel Locsin. Ibig sabihin, gusto ni Angel si Liza gumanap na Darna," wrote Ogie on his Facebook account. He also quoted Liza as saying: "Di pa po kami uli nagkikita. Pero pag nakita ko po siya, I will thank her po for the opportunity and these Darna komiks." Liza met with Kapamilya Network executives yesterday, May 30, during the announcement held at the ABS-CBN compound. "Yes, it's confirmed. 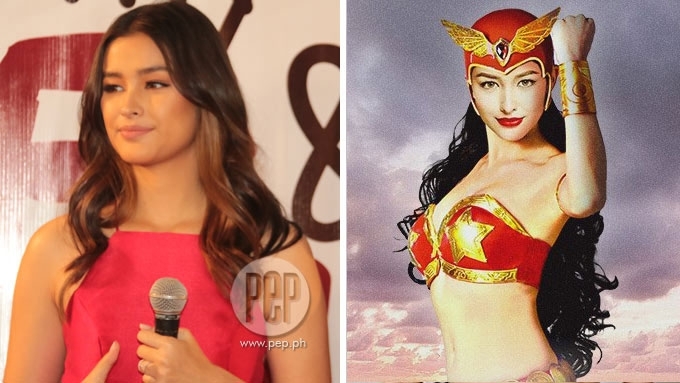 Tinatanggap ko na po ang role na Darna," said Liza in an interview aired on TV Patrol. How did she feel when she learned that she would bring life to the komiks character? "Sobrang na-excite po ako saka siyempre, happy. I feel really honored to be able to don the iconic costume and to be able to embody what Darna represents. "Ang gagawin ko na lang po, give my 100...more than 100 percent best sa project na ito." She recalled, "When they offered the role to me, gusto ko po talaga. "I feel like it will help me career-wise and also I'm hoping that as an actor, mas marami pa akong matutunan." To prepare for her role as the new Darna, Liza will start training in the coming weeks. Liza Soberano is Darna! In this photo, Liza is holding Mars Ravelo's Darna komiks from former Darna actress Angel Locsin. This was posted by her talent manager Ogie Diaz on Facebook.